The industrial revolution was a great era. A lot of new inventions popped up during this time, and difficult processes were made infinitely easier because of it. However, at the time, we didn’t realize that it would have such an impact on the environment. Here are a few things that we’d do different had we known. One of the biggest impacts to the environment happened because of one of the best things at the time. Factories put people to work and business was booming. However, what we didn’t realize is the effect that these factories were having on the environment. The factories impacted the environment in several ways, such as deforestation. Entire forests were destroyed to build these factories, so instead of having trees to give us oxygen, we had factories that gave us polluted air. 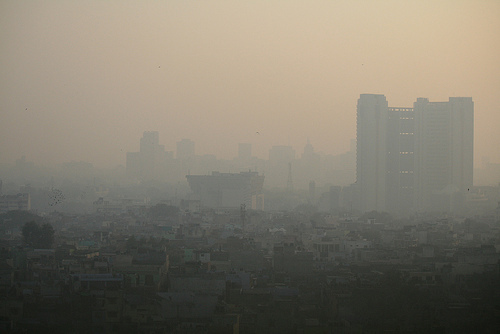 The polluted air impacted everything from land to water. The result of all this pollution? Global warming. During this time period, people also manipulated water to drive water mills. In Britain, rivers were diverted to water mills. Reservoirs were constructed in the hills to supply them. The larger the catchment area, the more powerful the source was likely to be. Water was the determining factor in the location of industrial activity. If we had changed things, it would’ve altered history forever. There could’ve been smaller factories that had a smaller impact, but outside of that, the only other way to keep the environment healthy was to not have factories at all. That’s certainly one solution, but if that had been the case, businesses would be completely different. On the heels of the industrial revolution, people used water softeners as a means of water desalination. What we didn’t know at the time, though, is that water softeners pollute the soil with sodium. That may not sound like a big deal to you, but think about the big picture. If there’s sodium in our soil, there will be a number of things that are impacted, the primary thing being crops. Crops will have a difficult time growing in soil that has sodium in it. This greatly reduces the amount of food available worldwide. To combat this, someone should’ve considered alternatives. Instead of using a water softener, we would’ve turned to water softener alternatives sooner. This would’ve allowed us to have quite a large amount of harvestable crops available worldwide rather than the amount we have now. If you’re looking to make the switch and get an alternative to water softener, check out LifeSource Water’s home filtration systems. When you hear about the industrial revolution, you probably don’t think of the people, but the industrial revolution is directly responsible for cities. Prior to the industrial revolution, about 80 percent of the population lived in rural areas. As people moved from the rural areas to find work, little towns became sprawling cities. Each city became known for something. For example, Manchester, England, grew from a small town to the textile capital of the world. You might think this is great, but at the time it wasn’t. The neighborhoods were crowded and polluted, and the streets were filled with trash. Waste was running throughout the city that polluted the water. Diseases spread like wildfire, killing thousands upon thousands of people. Had we known the effect that building the factories few and far between would have, we could’ve had several smaller factories, thus reducing congestion around the city and, hopefully, the pollution that was caused both by humans and factories. The industrial revolution may seem like a long time ago, but we’re still feeling the effect today. The factories built then greatly polluted the environment, and we’re all experiencing the results. If things had been different, can you imagine how the world would be today? Perhaps there wouldn’t be nearly as many natural disasters, but what would the impact on the business world be? Leave a comment below and let us know what you think the world would be like today.